Assessing Young Children is one of the most important components of instruction. It is a means of determining what is occurring as individual students perform academic tasks. Assessments help teachers examine the strengths and weaknesses of developing minds and can pinpoint specific problems and highlight skills previously mastered. Ideally, the information and data gathered during assessments will guide and direct instruction, which in turn will lead to improved academic performance. Kindergarten Kiosk has five great assessment options for Preschool and Kindergarten children. 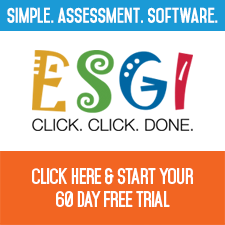 These assessments are well organized and very easy to use. Here is a small sampling of what purchasers are saying about these products. Check them out today. Be confident that you are preparing students for the rigors of the Common Core Standards.